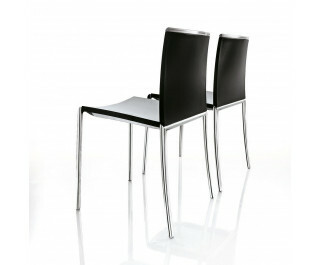 The Tango chair features a polished or painted die-cast aluminium frame and a co-injected shiny nylon shell. The profile along the top is in pressure die-cast aluminium. The Tango stackable chair comes in an assortment of colours and as well as a monochromatic version.